Trevor R. Getz is the co-author of Abina and the Important Men: A Graphic History, a winner of the 2013 Children's Africana Book Award. 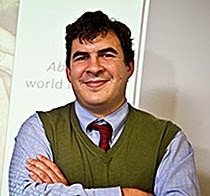 Getz is a professor of history at San Francisco State University. 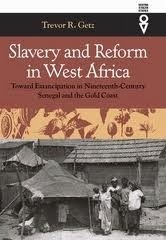 His other books include Modern Imperialism and Colonialism: A Global Perspective and Slavery and Reform in West Africa. Q: How did you come upon the story of Abina Mansah, and why did you decide to tell it as a graphic history? A: I actually recovered Abina's testimony in 1998, during research for my dissertation, which was a social history of abolition in Senegal and the Gold Coast. I knew immediately I had something special here -- it was more expressive, more detailed, and in many ways more moving than any other court cases or sources I found in the national archives in Ghana or in Senegal. However, I was unprepared at that point to read it deeply. Instead, it became a footnote in what was really a mass, social history. Over time, I learned to read the male, colonial voices in the document. This was through a number of articles and projects in which I gradually focused in on colonial discourse of paternalism (primarily), ethnography, and knowledge transactions in the early Gold Coast Colony. This allowed me to begin pulling away layers of information about the production of the document containing Abina's testimony. Then I became involved in a project on voices of slavery primarily organized by Sandra Greene, Alice Bellagamba, and Martin Klein. I was privileged to present my first paper on Abina's testimony to many wise colleagues during a week-long meeting in Bellagio, Italy hosted by the Rockefeller Foundation. Through their feedback, including the assistance of the great Ghanaian historian of slavery Akosua Perbi, I began to be able to hear what Abina (Abena Mensah, as it would be written today) was saying to the men -- African and European -- who were deciding the case. Q: How did you and Liz Clarke collaborate on the book? A: Liz played a huge role. At first, I largely saw her as the artist executing my story, although I ALWAYS insisted that she be 50/50 partners in terms of financial issues and "authorship" of the final product. Then, however, she taught me a lesson. She became deeply involved in researching what things should look like, how people lived their lives, and questions of how we should depict scenes. She truly became, in many ways, a "co-author." Q: Did you envision the book as appealing to young adults and adults? A: I always wanted to reach "young adults", but to be truthful I saw this book as aimed at college-level audiences. In many ways, it's a book about "history" and the issues surrounding its production: who owns the past, who has the right to produce it, and how can we best respect people of the past and popular perceptions of their lives while critically engaging them. This is something I think should be learned/debated/interrogated by anyone who considers themselves educated. Q: As a professor who has written extensively about African history, what do you think are some of the most common misperceptions about it? A: Interesting question. I could answer this at length, but I'll try to be brief and directed. One of the great difficulties we face in studying African history is that we are faced by discursive constructions of African-ness in our media and daily lives: primitive Africa, wild Africa, exotic Africa, broken Africa. How can we get beyond them to understand Africans as human beings? Tied in with this is the issue of whether we see Africans as being just like us ("universal"), very diverse among themselves, or especially African in some way. All of these are approaches that even serious scholars can take, but all have their weaknesses and problems as well as their strengths. First and foremost, I wanted Abina's story to be the story of a PERSON, a human being struggling in the milieu of her specific time and place but for somewhat universal human goals of surviving and thriving. A: In terms of Abina's story, I'm working on two projects. First, my continued attempts to re-read her narrative more deeply have led me to try to look at the relationship between slavery and marriage. The result is a re-focusing on issues surrounding marriage as the driver of her actions. Lindsay Ehrisman and I have an article coming out on that topic in the inaugural volume of the Journal of West African History, and I'm now trying to read many other court cases from the period through the paradigm of marriage and its relationship to slavery (both discursive and experiential). Another direction I'm trying to take is to develop an iBook experience about Abina intended specifically for the high school classroom, and designed around the common core curriculum and world history standards. This will be a sound-and-motion comic book with deep historical tools for teachers and students. 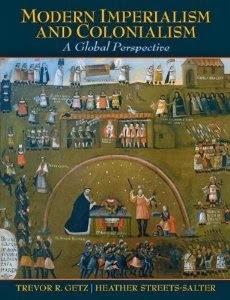 Finally, I'm working on three other projects: a world history textbook for Oxford University Press, editing the African World Histories series, and an edited volume (see www.subjectinghistory.org) about the relationship between scholarly and public approaches to understanding the past. A: I have been deeply affected by Abina's narrative. This is not unusual for a historian. We are driven by the traces left behind by engaging people who lived before us.